I’m am very happy to announce the upcoming nuptials for Becca from It’s Yummi! to Brian Donovan this Thursday the 31st of October 2013. 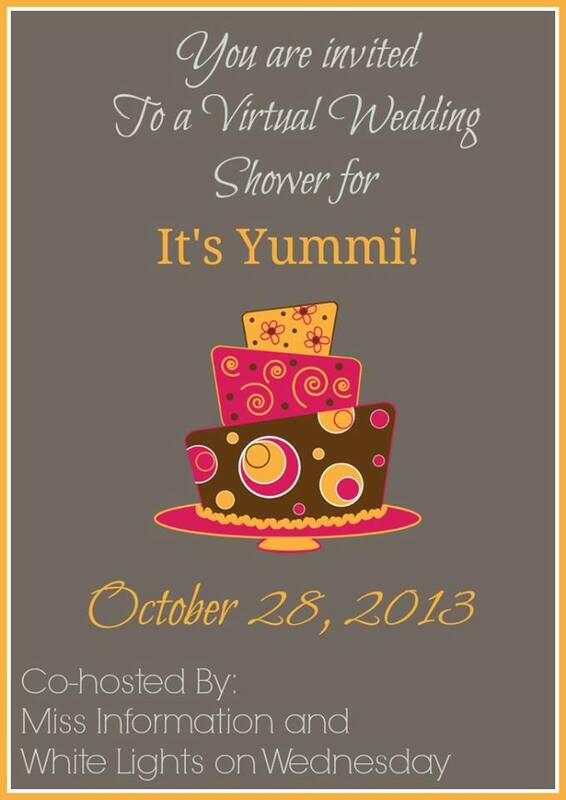 To celebrate Kelley from Miss Information and I are throwing Becca a virtual bridal shower! 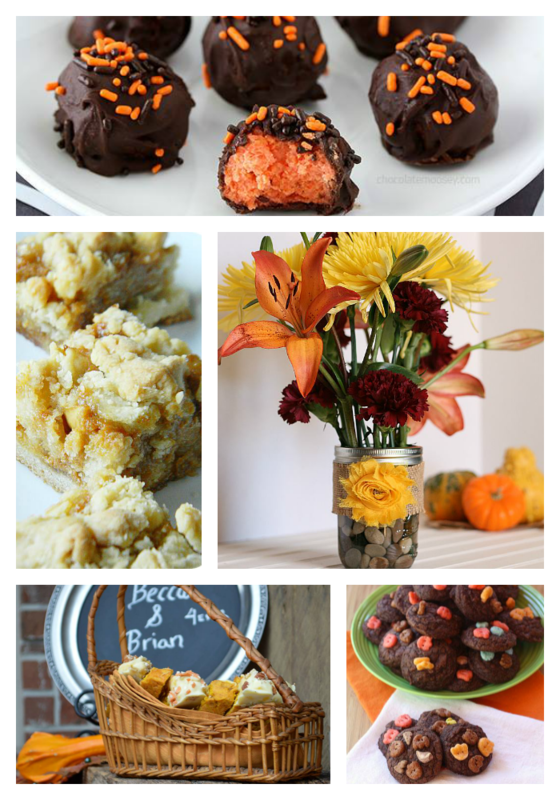 We gathered together 10 of Becca’s blogging friends to share fall and Halloween inspired crafts and food that would be perfect to help any fall bride celebrate. It’s become a big trend at weddings to have a signature cocktail. 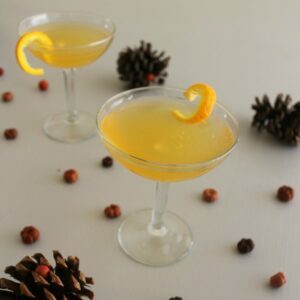 I wanted to create a special drink for Becca that would be perfect for the fall/winter season and be an all around crowd pleaser. 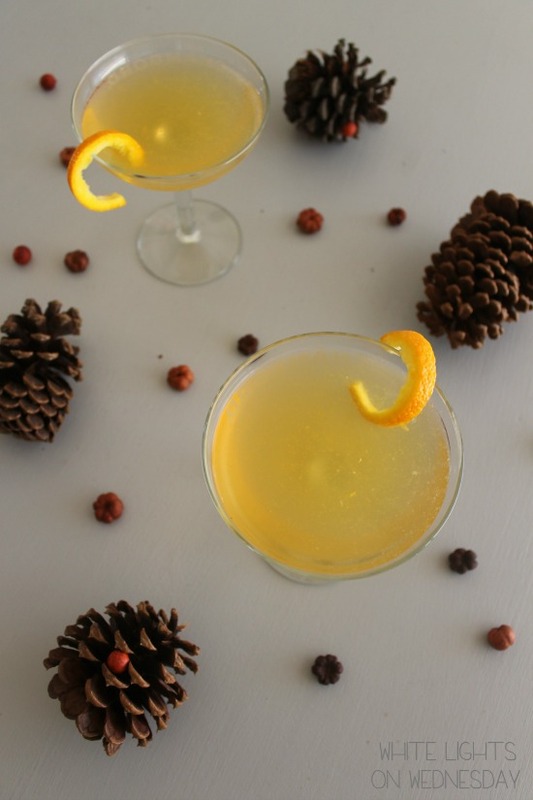 I almost called this cocktail the “Holy Matrimony” for the occasion, but figured a more seasonal name would be more indicative of the flavors. 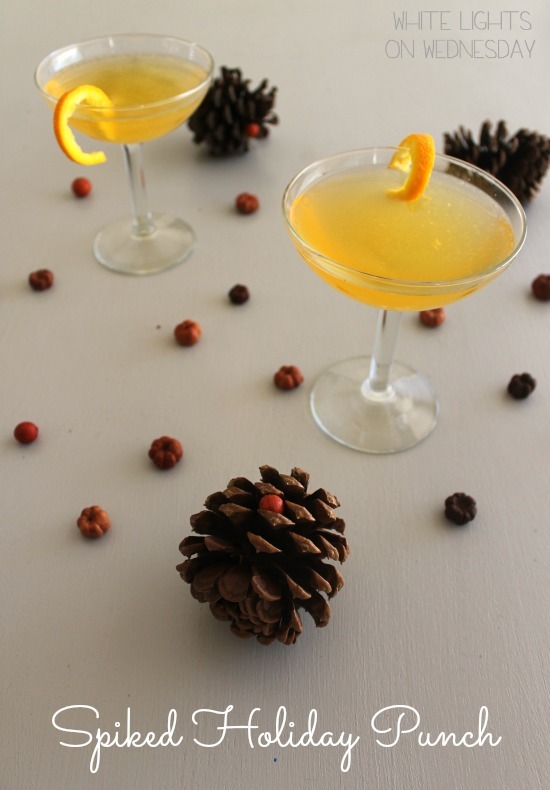 This cocktail is light, fresh tasting, and full of fall flavors and aromas. It’s dangerously easy to drink and you can control the alcohol taste by adding extra soda water. The girls really put together some great ideas for Becca’s shower. There’s delicious food – lots of desserts – and some personalized touches any bride would love. 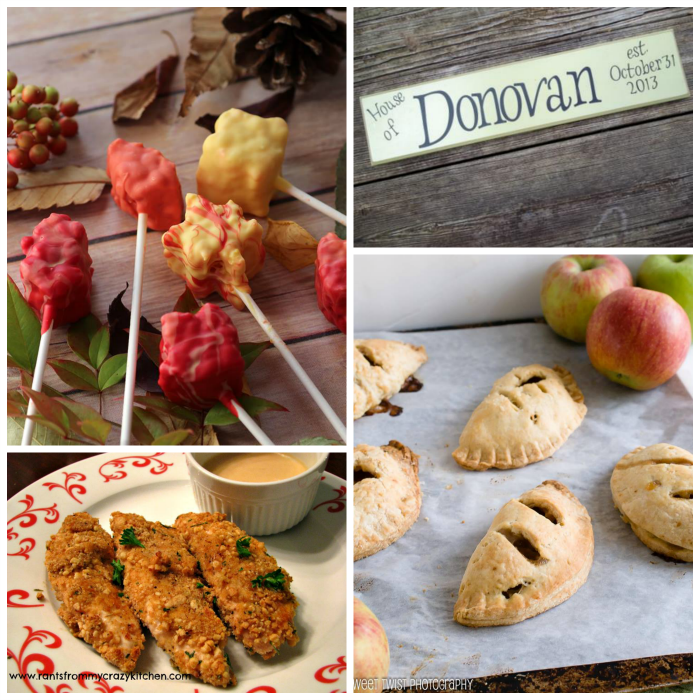 Get a peek at each of the shower “gifts” below, and click the links to see how to make each recipe/craft yourself. Combine Blind Archer, Cointreau, sweet vermouth, and orange juice in a punch bowl. Add lots of ice to chill punch. When ready to serve, add soda water; stir to mix. Garnish with orange slices.